Here we are again south of Norwich, and the beautiful blue skies of Historic Churches bike ride day 2006. We had come on four wheels rather than two, for reasons that will become obvious. We were men on a mission. 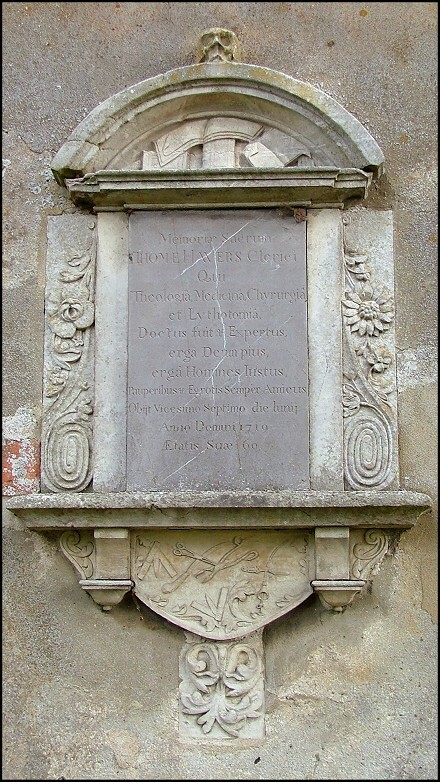 After Burgh, Stoke is the most common placename in East Anglia, and so it is usually qualified with reference to the nearest town, or to the dedication of the parish church. By a happy accident, this Stoke has a church with one of the prettiest dedications that there is. Perhaps the very words Holy Cross serve to remind to us of the recent protestant past of this nation, because most languages do not have separate words for Holy and Saint. In most languages they are the same. 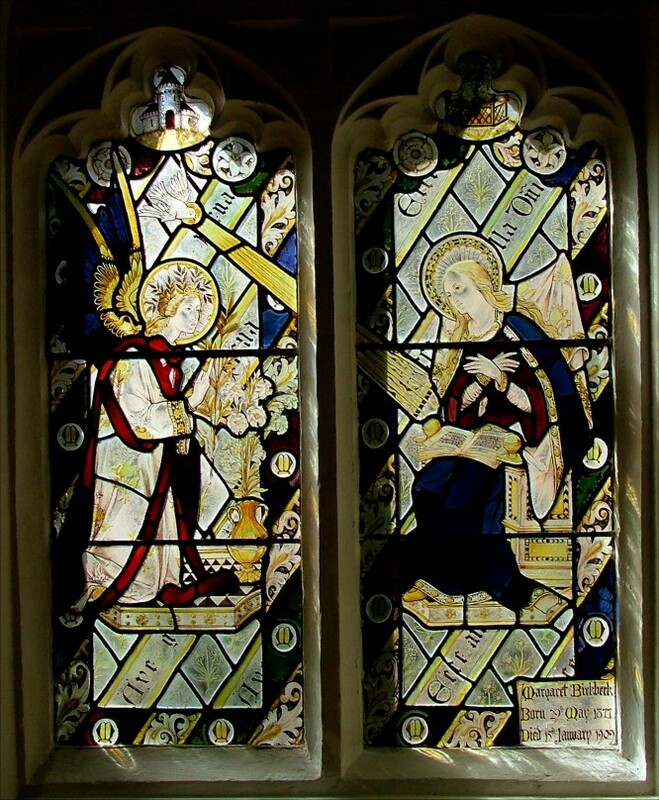 Medieval East Anglians would have seen the Cross and figures like the Blessed Virgin and St Edmund and as all being part of the same firmament of holiness, and equally efficacious for intercessionary prayer. 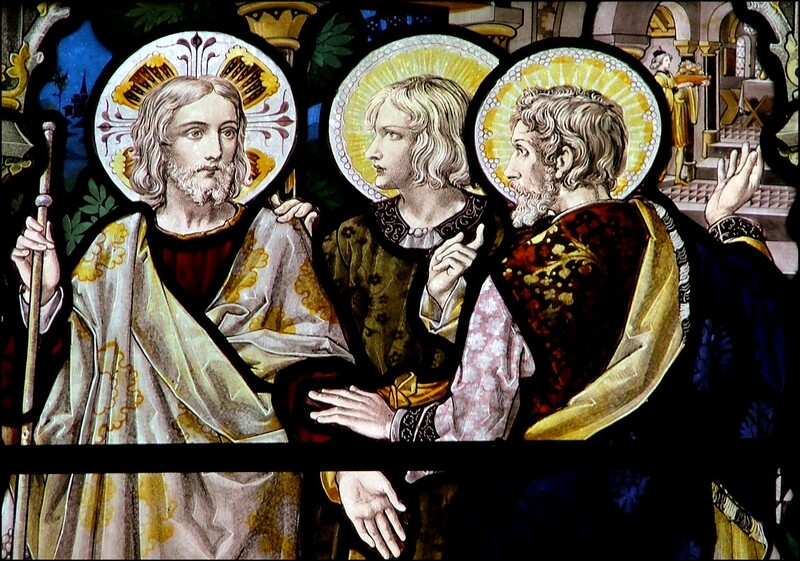 For protestants, Saints were more like shining examples of goodness to be followed, and the same could not be said of a piece of wood. Stoke Holy Cross is outer Norwich suburbia, just beyond the pale boundary of the A47. 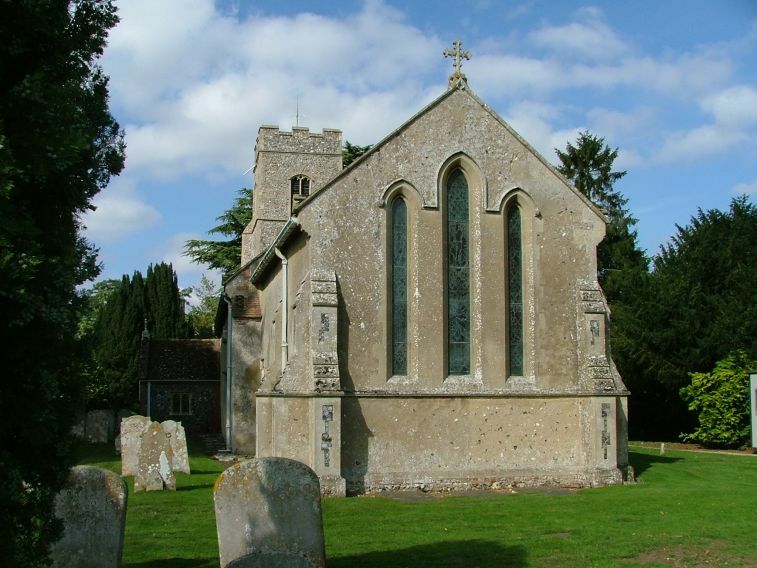 But as busy as the village is, the pretty church of Holy Cross is set out in the fields on the way to Shotesham, a kind of gateway to that delicious part of south Norfolk that is rolling valleys and narrow crooked lanes. 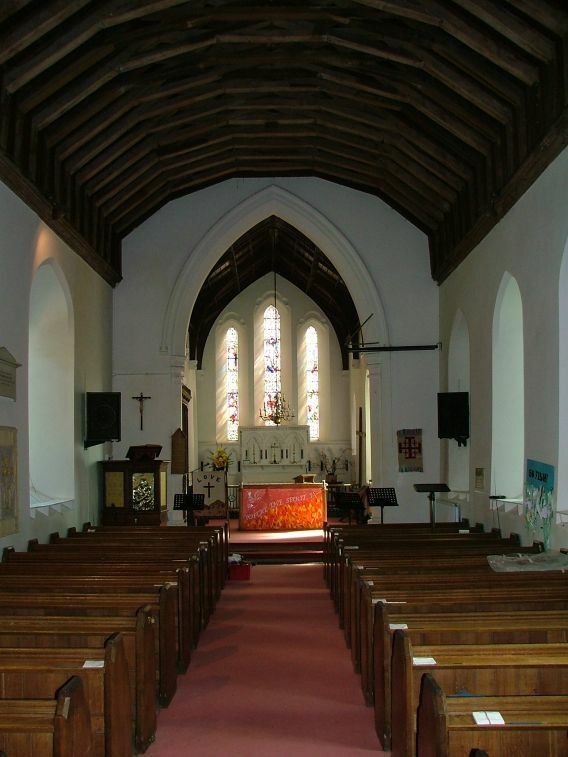 It is a difficult church to date; the chancel is obviously Early English, but it seems that all the window tracery in the nave was renewed in a voracious restoration of the 1870s. 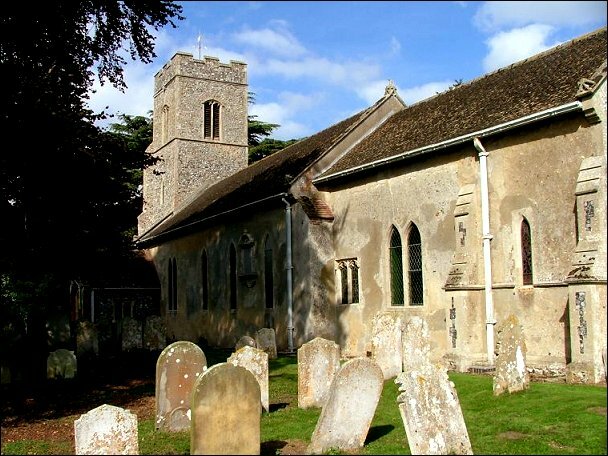 We came here on bike ride day, because, sad to relate, Holy Cross is one of East Anglia's fortress churches. These are the tiny handful that are kept locked without a keyholder notice. There are not many of them, but they tend to cluster together, and there are several immediately to the south of Norwich. But, as with most of them, if you visit on bike ride day you usually find that the custodians are warm, welcoming people who are happy for you to see the inside of their church. The woman on duty here was so friendly that I decided to broach the difficult question: exactly why did the parish of Stoke Holy Cross not allow access to visitors? 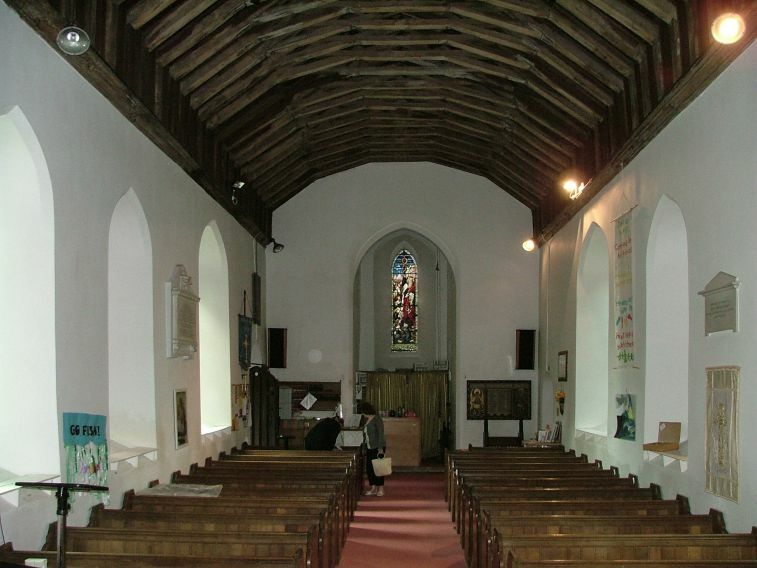 The answer, rather sadly, was that that she had not realised that most Norfolk churches are open every day. She had assumed that they were all kept locked. This in itself is not a reason for locking, but may explain the seige mentality of parishes like this one. 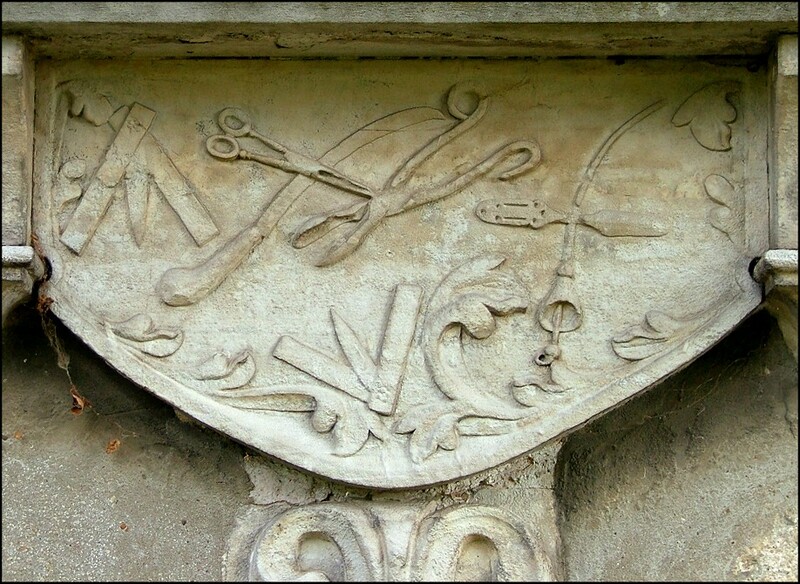 Perhaps the most unusual features of Holy Cross can be seen from the outside in any case. 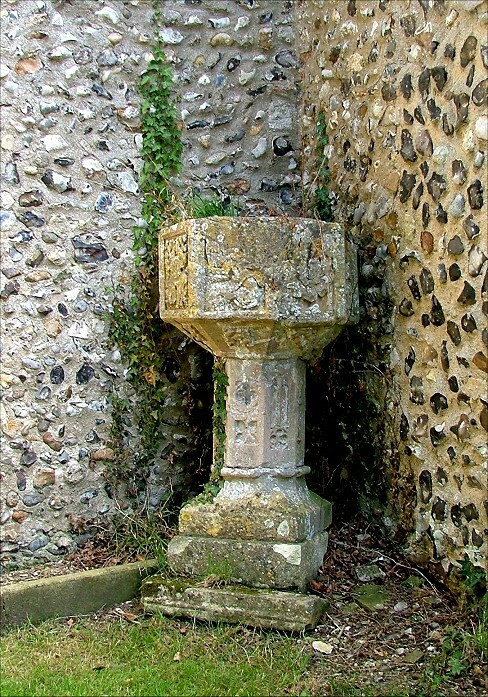 These are a 15th century font, which is leaning up against the south-west corner of the nave, and appears to have been there for a century or more, and the wall monument to Thomas Havers, Theologian, Doctor and Surgeon, which includes the tools of his trade in relief, including, I was pleased to see, a lancet, a non-identical twin to the single lancet in the south chancel wall, if you like. You step into a church which bears the marks of a heavy 19th century restoration, but one which has left it looking trim rather than anonymous. 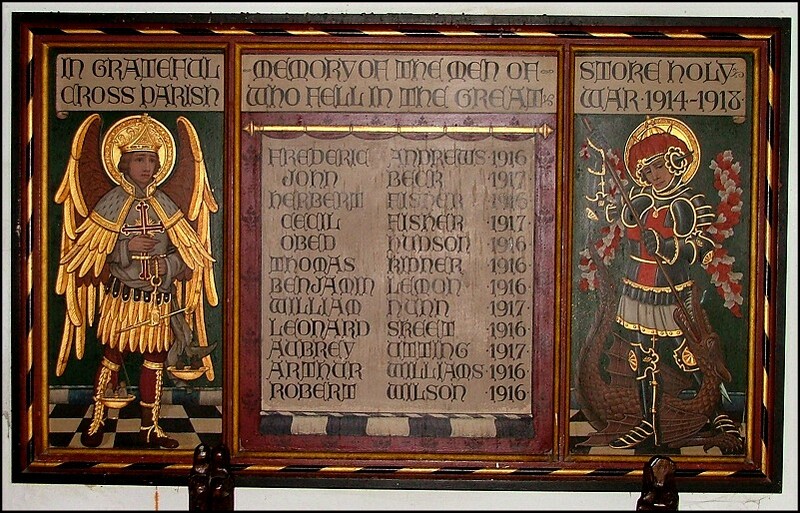 There is one of those war memorials which you see several places in Norfolk, a painted triptych with St George and St Michael flanking the names in the middle. 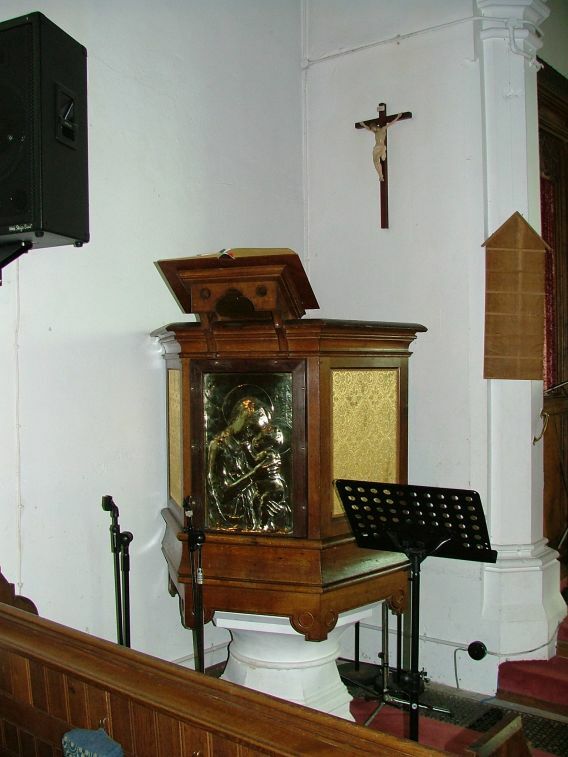 The pulpit is rather dramatic, with a highly polished copper relief depicting the Blessed Virgin and child. 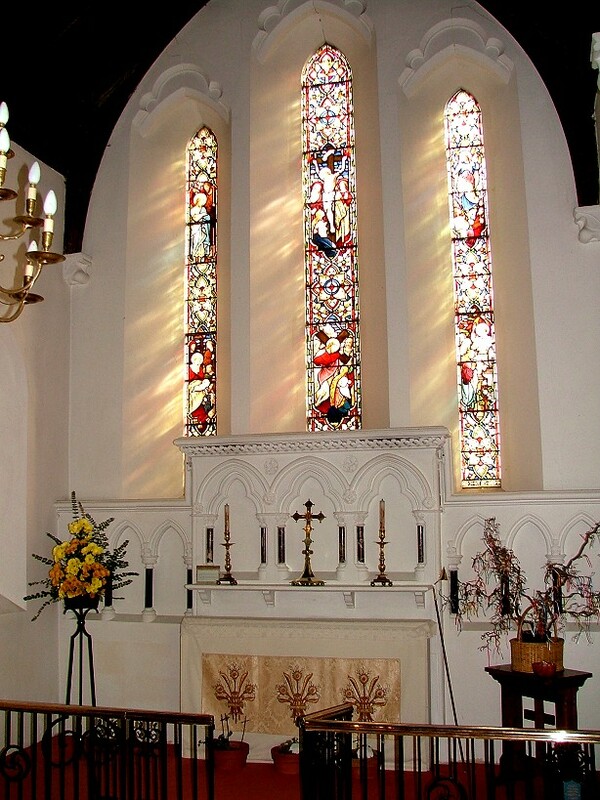 This is not a big church, and the triple lancet east window might have left it feeling claustrophobic; but the walls are painted white and there is some very good late 19th and early 20th century glass, a perfect setting for it. The best is probably the sequence of Faith, Hope and Charity in the north and south walls of the chancel, but my personal favourite is the Road to Emmaus in the nave, which must be by the same artist as the angels at Walsoken. 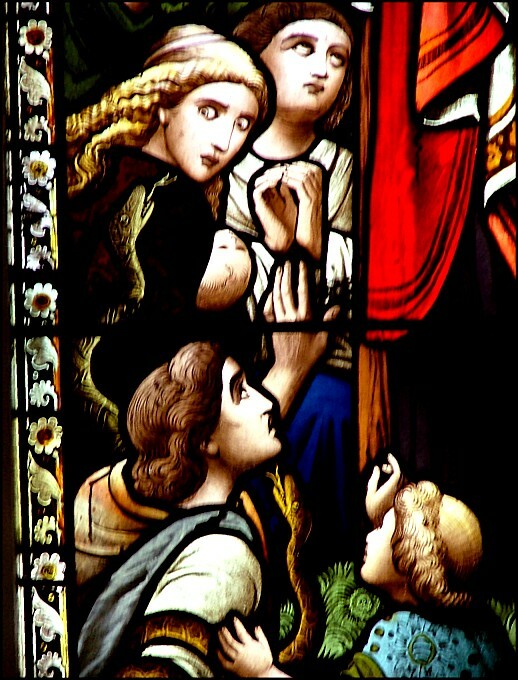 The Annunciation in the chancel is early 20th century, and has a Comperish feel, and of the scenes from the life of Christ the best is probably the Adoration of the Shepherds, a scene which always has a particular resonance when found in a rural Norfolk church. It is only a shame that so few people are able to benefit from the pleasures on offer here.